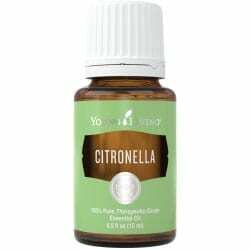 Citronella essential oil is a common element in perfumes and cosmetic products and is well known for its use in outdoor candles, sprays, lotions, and other camping and outdoor essentials. Citronella Essential Oil is steam distilled from the leafy parts of the citronella plant, also known as Cymbopogon nardus. Thanks to its fresh, welcoming aroma, Citronella essential oil is a common element in perfumes and cosmetic products and is well known for its use in outdoor candles, sprays, lotions, and camping/outdoor essentials. As a relative of Lemongrass, Citronella has a slight citrus scent that provides a pleasant and inviting experience whenever it’s used. Most people think of Citronella oil’s use as an insect repellent. However, it has many more uses. Its versatility makes it a great household product to add to your beauty routine or to refresh indoor and outdoor spaces. Use as an alternative to deodorant. Combine with Tea Tree essential oil for added strength. Application: Diffuse or apply topically on bottom of feet or on location diluted with massage oil. Terpene alcohols (35%): geraniol (18%), borneol (6%), citronnellol (8%); Aldehydes (5-15%): citronnellal (5%); Esters (9%); Phenols (9%): methyl isoeugenol (7%). Young Living Essential Oils are therapeutic grade oils, created with skill from our essential oil farms that play an integral role in the Seed to Seal promise. You should educate yourself about the quality and why it’s important before buying essential oils. CLICK HERE to learn more. Fennel Essential Oil, 15 ml. Dill Essential Oil, 5 ml.